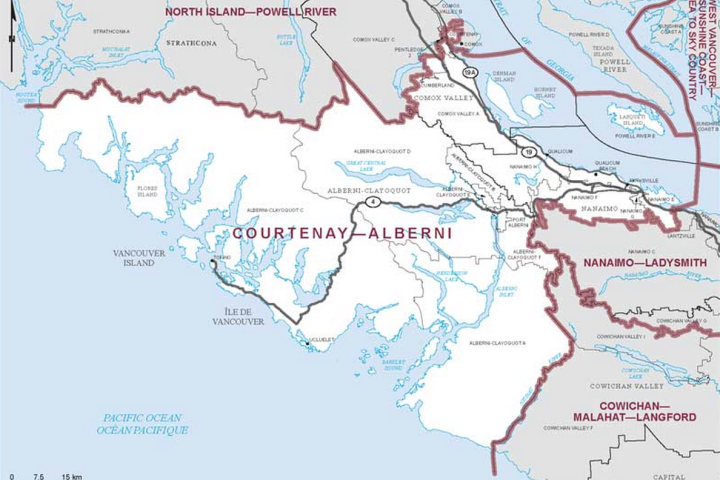 The Conservative candidate in Courtney-Alberni is John Duncan, who took 46% of vote in 2011, over the 2nd place NDPer with 43%. The new riding is slightly less favourable to Duncan. If the 2011 votes are redistributed within its boundaries, the Conservative would have received 45%, the NDP 41%, the Greens and Liberals both at 7%. 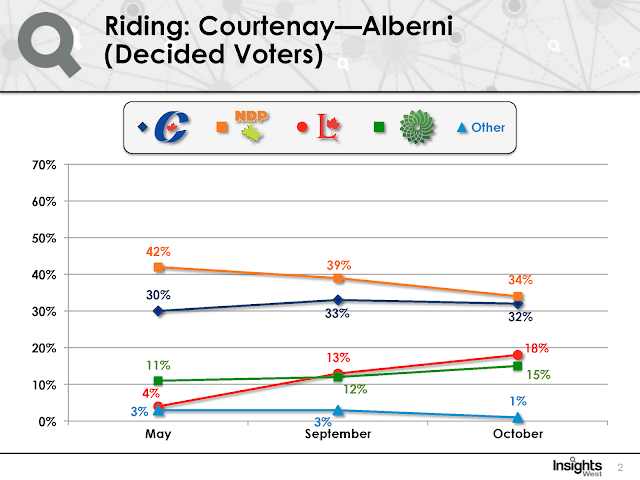 By itself this should mean that strategic voters should support the NDP. As it happens, a recent poll conducted by Insights West (Sept. 13) confirms that. It found that support in the riding at: Con. 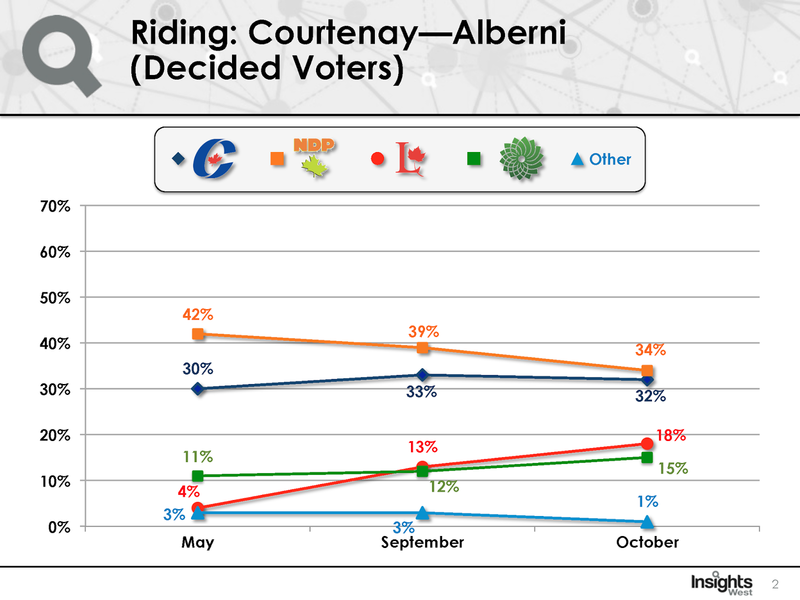 33%, NDP 39%, Lib. 13%, Green 12%. Again it is fairly clear that the NDP have the best choice for strategic voters who want to avoid vote splitting and defeat the Conservatives. 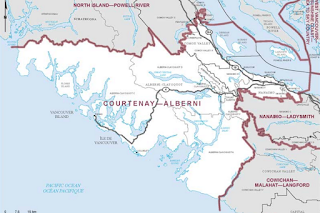 Votetogether.ca is expected to make a call for strategic voting in Courney-Alberni soon. Update. 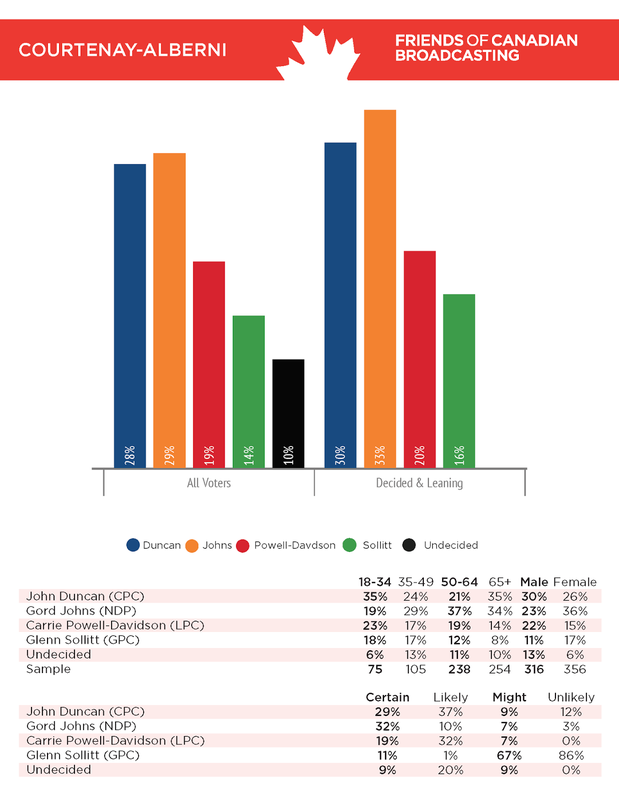 A new poll (Oct. 13) shows that strategic voters should support the NDP. For a full list of my calls, see here.